Two proposed developments set for SoMa could be permitted to exceed their sites' density limits by including on-site affordable housing. 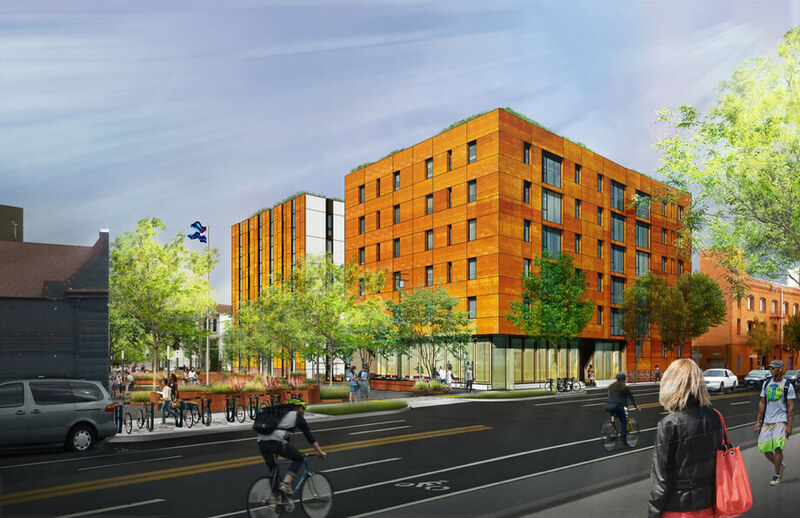 Both projects are being proposed by San Francisco-based firm Macy Architecture, which is also behind an upcoming development at 12th and Harrison streets. Macy is filing both projects with the hope of receiving an Individually Requested Density Bonus, a state program that allows developers to eschew some zoning requirements if they construct a minimum amount of on-site affordable housing, particularly for very-low-income residents. Those seeking the bonus must file applications for both a base plan that does not utilize it, and a second plan that does. The first of the two projects, at 222 Dore St. (between 9th and 10th streets), would demolish a 7,973-square-foot industrial building and construct a new five-story residential building with a 2,700-square-foot rooftop open space. As proposed, the building would include 23 two-bedroom and 10 one-bedroom units. Three of the units would be permanently available to very-low-income residents (defined as making 50 percent or less of the area median income). According to SF Planning, the Dore Street project meets the requirements for the Individually Requested Density Bonus, because it is providing 12.5 percent of on-site affordable housing. The project is seeking waivers from other zoning requirements, including minimums for open space and bicycle parking. No vehicle parking is planned for the site. Macy Architecture's second project is planned for nearby 1233 Folsom St. (at 8th St.) It would demolish an existing 3,250-square-foot industrial building and the adjacent 1,250-square-foot surface parking lot to construct a nine-story mixed-use building. As proposed, the building would boast 13 six-bedroom dwelling units, 10 "micro" tourist hotel rooms, and 597 square feet of ground-floor commercial space. One of the six-bedroom units would be set aside as permanently affordable to very-low-income residents. The building would also offer 21 bike parking spaces, but no parking for cars. Unlike the Dore Street project, the Folsom Street project still needs to provide SF Planning with plans for a base project that fully complies with the Planning Code requirements for the site. As currently proposed, the base project would still require an exemption from minimum open space requirements. 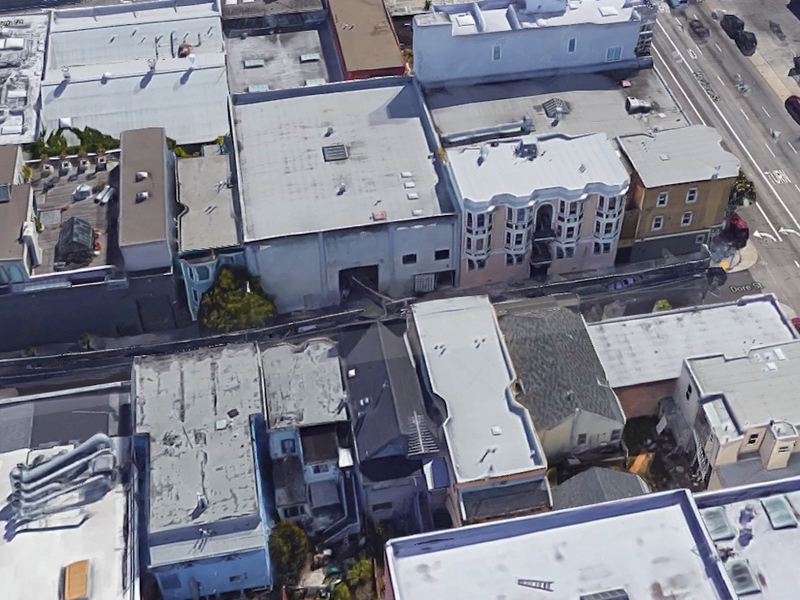 The Folsom Street project also raises some concerns because each of the 13 residential units include six bedrooms, and may better align with the definition of group housing. SF Planning wants Macy Architecture to provide further details on whether each unit will be rented as a single-family unit, or whether each bedroom will be rented separately. 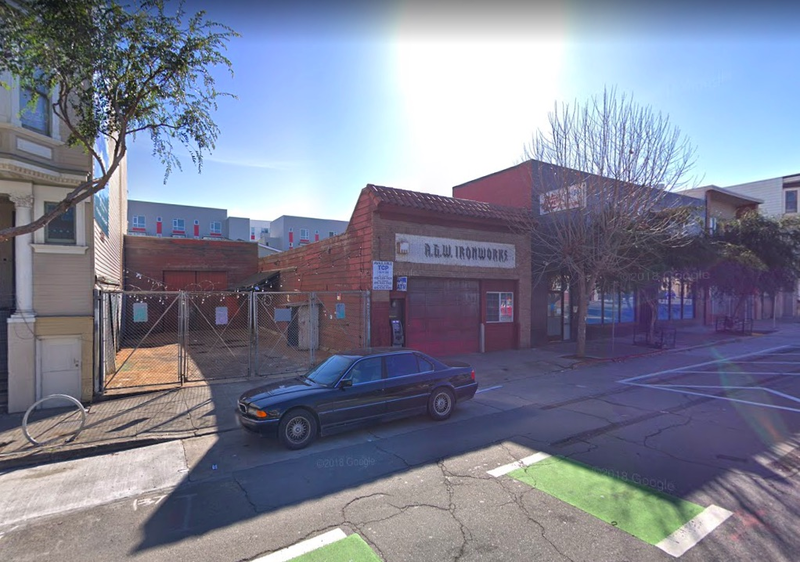 The Folsom Street site is also located within a state-recognized historic district, the Western SoMa Light Industrial and Residential Historic District, and could include some structures that are considered historically significant. The city's historic preservation staff will need to review the project before it can be approved, according to SF Planning. SF Planning is currently drafting a document with procedures for using the state density bonus program. Both sites will be subject to the new implementation plan the department plans to release in 2019.